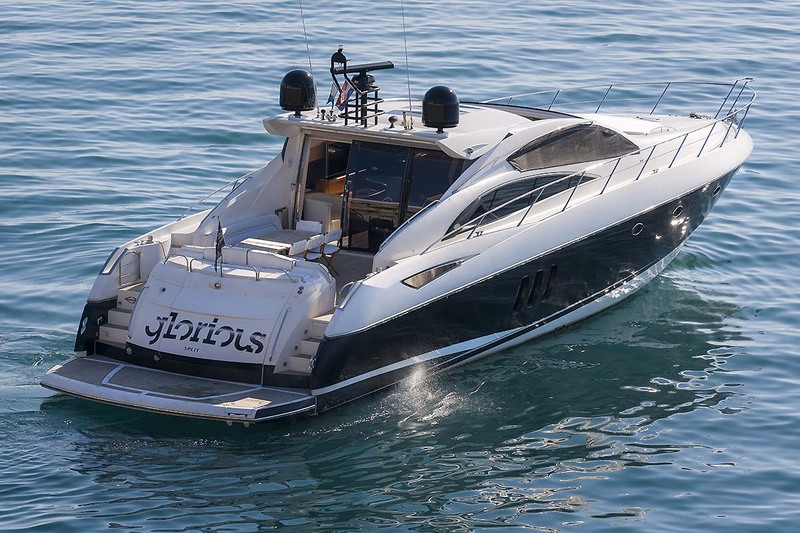 Motor yacht GLORIOUS (Ex Szimona) was launched by the well known Sunseeker shipyard in 2006 and refitted in 2017. 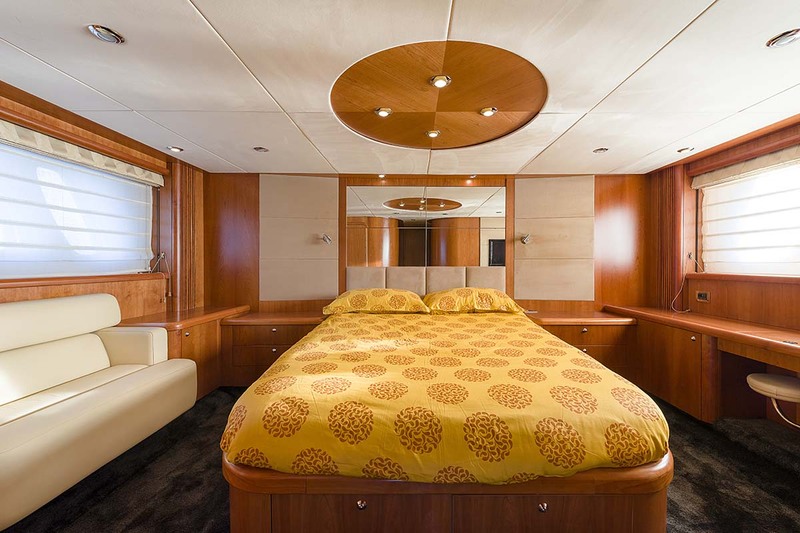 She offers accommodation for 6 charter guests and 3 cabins. 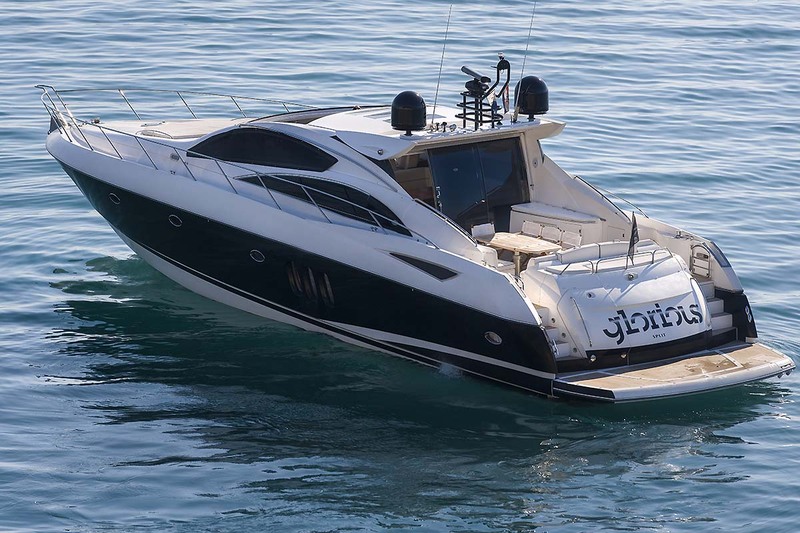 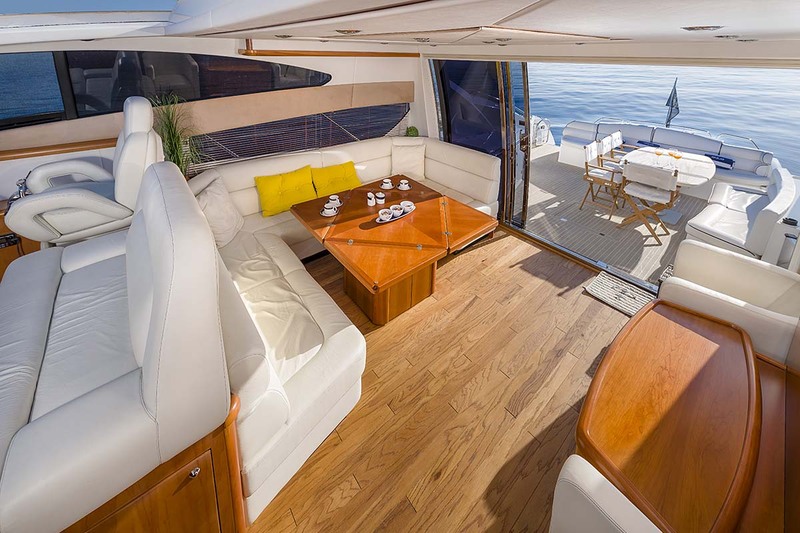 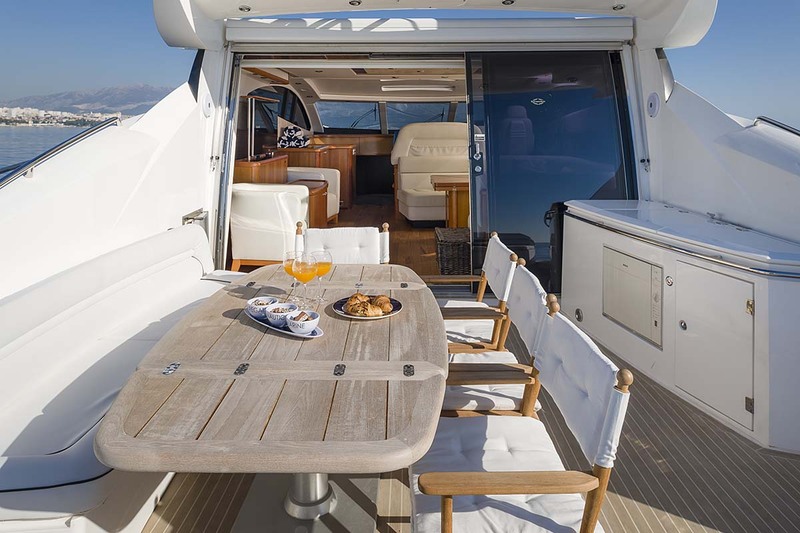 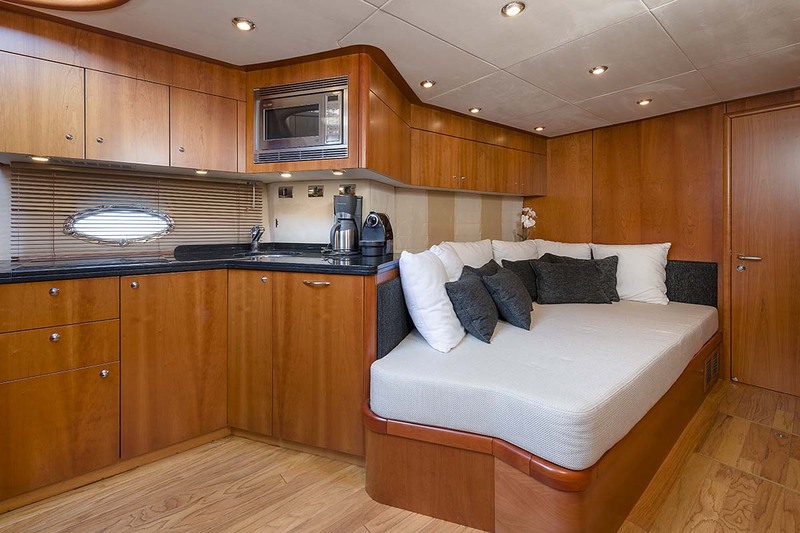 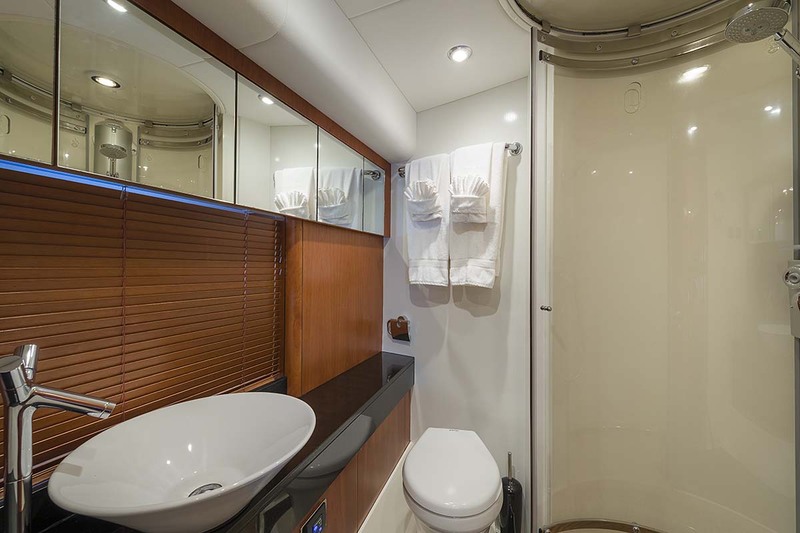 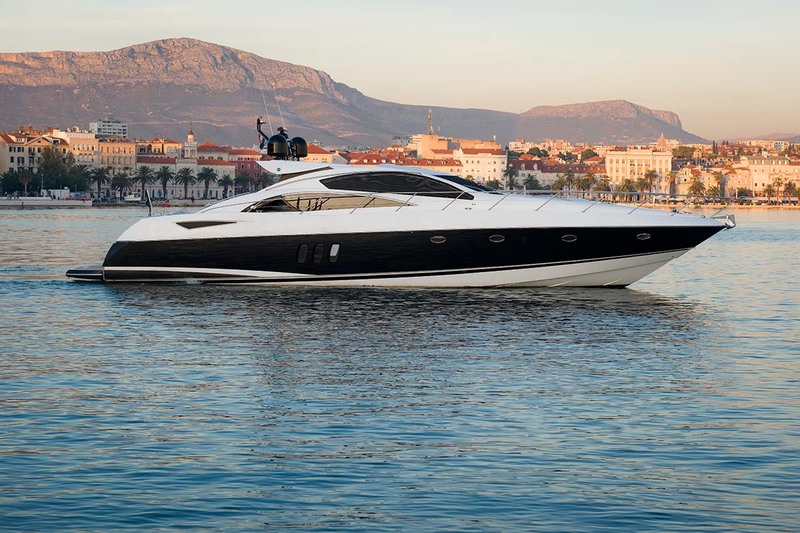 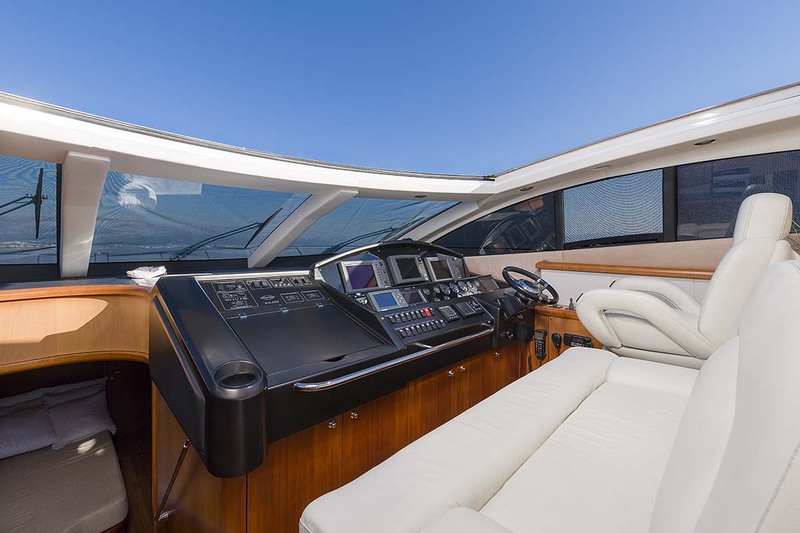 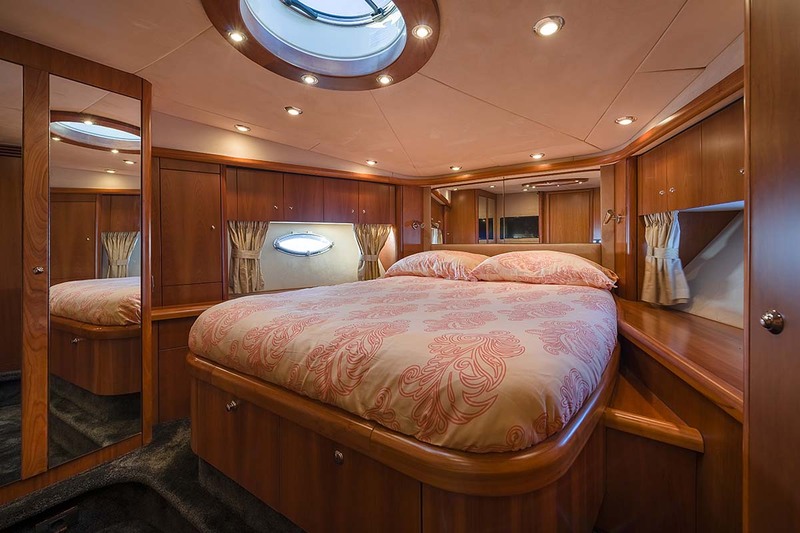 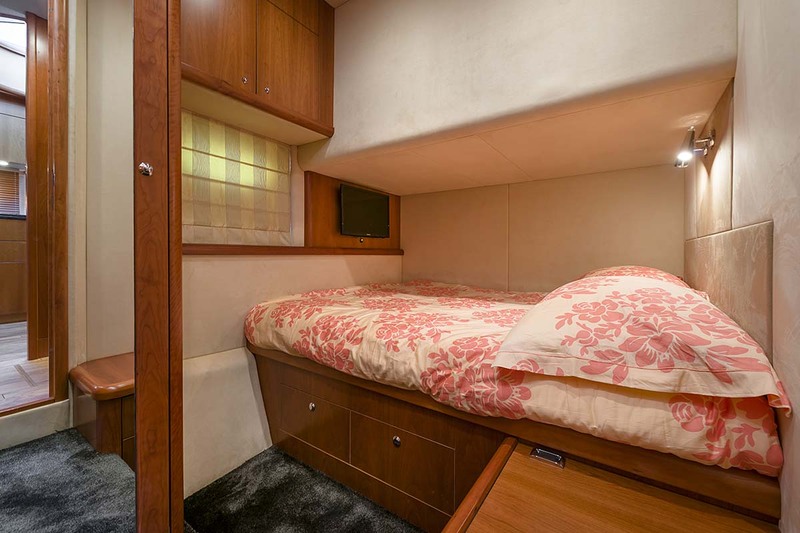 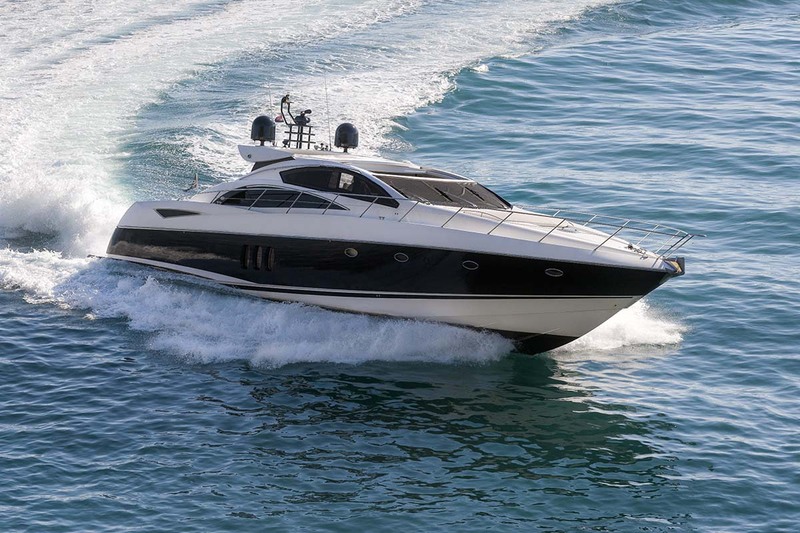 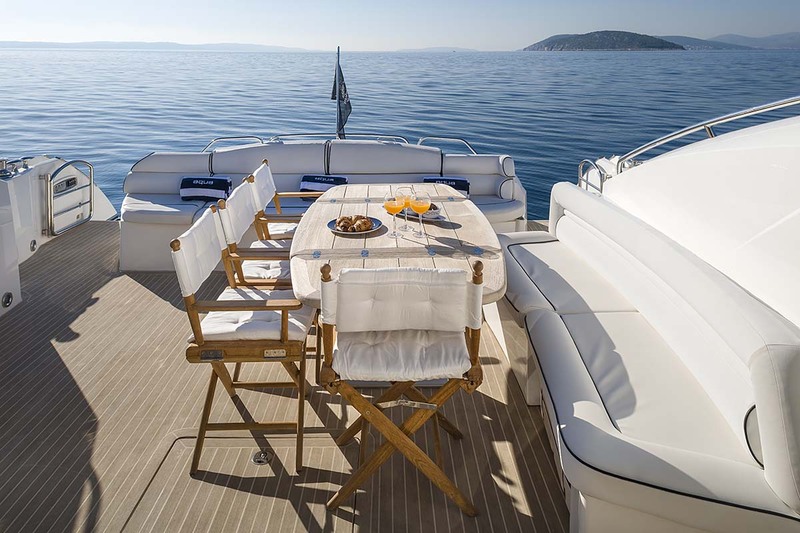 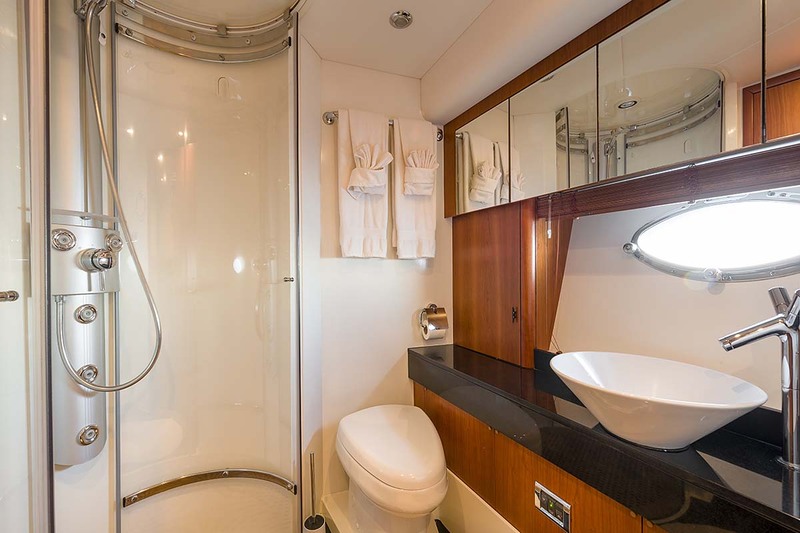 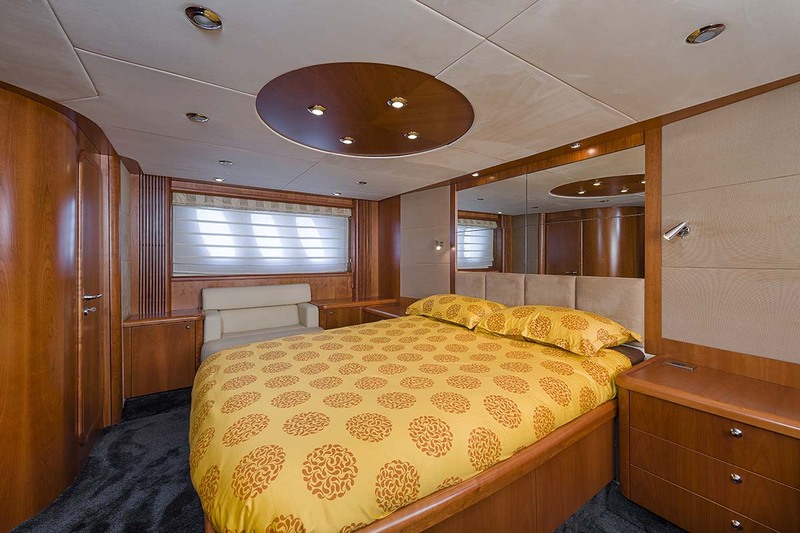 The yacht has a bright airy interior with plenty of natural light and a contemporary finish. 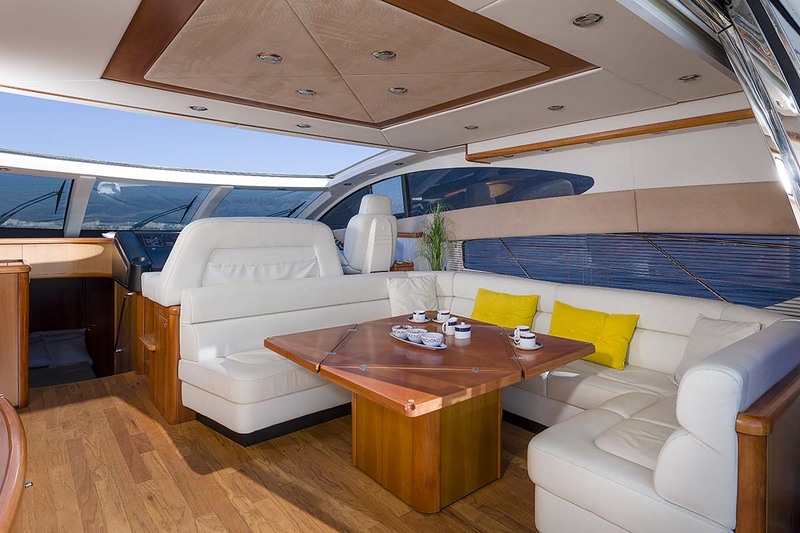 Her open plan salon is open right out onto the aft deck, it offers a comfortable lounge with a convertible dining table, surrounded by windows and overhead retractable roof. 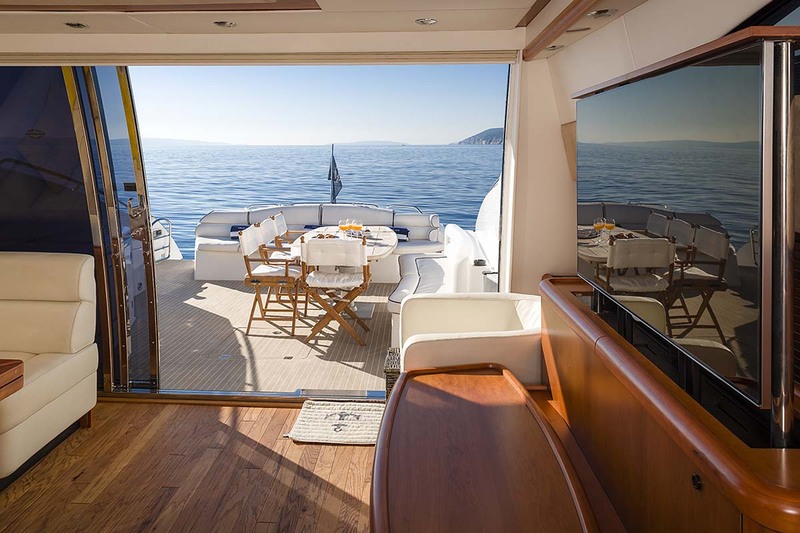 Stepping through the sliding glass doors, there is a spacious aft deck, alfresco dining and plenty of seating. 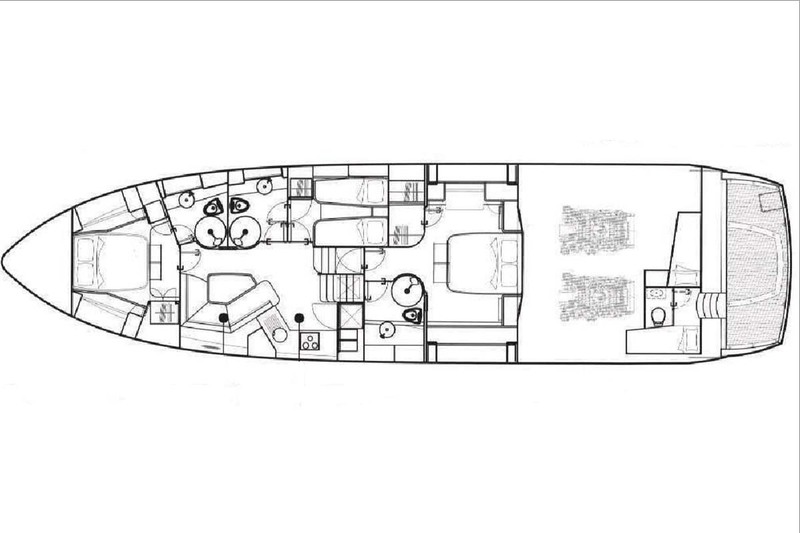 A few steps lead to the extended swim platform, while side decks provide access to the foredeck and a large sun pad. 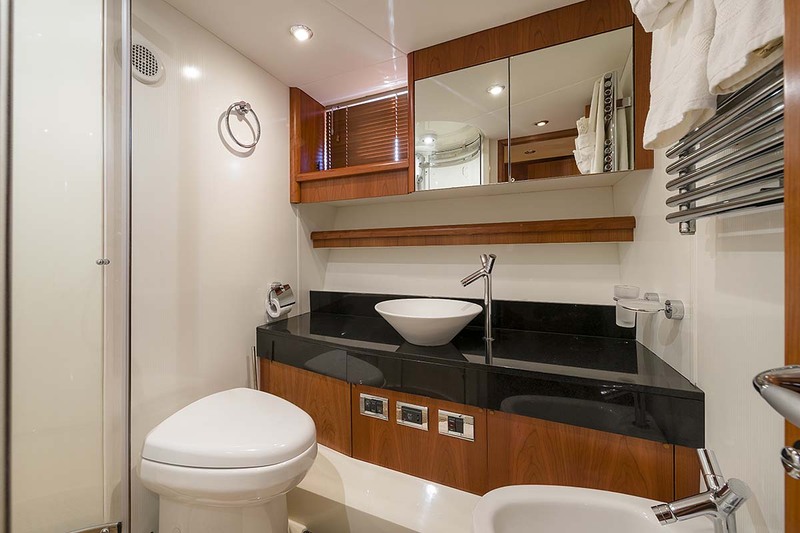 Accommodation is in 1 master, a VIP, and a twin cabin, for up to 6 charter guests.